April in India is a wonderful time to see tigers in the wild as the remaining watering holes are limited and vegetation is nice and short. 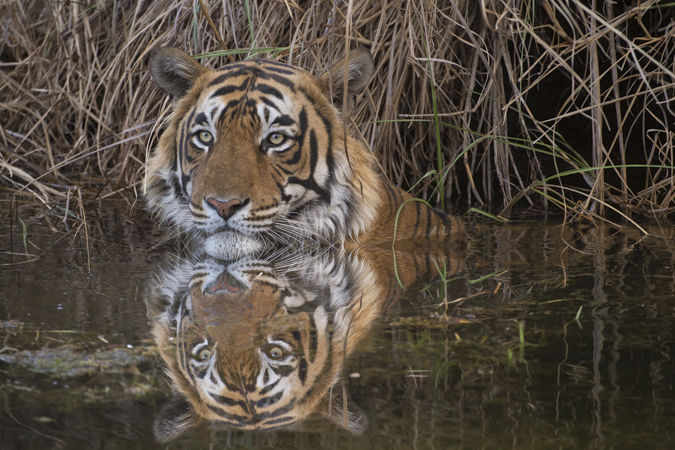 During our tiger holiday in Ranthambore we had an incredible 17 sightings in a week – most of which were so close and personal you could hear them breathe. Thanks to Caroline, Carlos, Barbara, Roy, Lee, Derek and Marta for making this trip so special. We also visited the Taj Mahal and Agra Fort during this trip and did a couple of journeys by first class train which is always a great way to travel in India. The news for tiger numbers has been better over the last few years and certainly in Ranthambore tiger numbers are now extremely high. Below are a few photos from this trip – click on any thumbnail to view them larger.